The Labour Party has received 673 complaints in 10 months alleging acts of anti-Semitism by its members. A letter from the party’s general secretary, Jennie Formby, revealed the figures after she was pushed by MPs for specific details. She said 96 members were immediately suspended from the party for their conduct between April 2018 and January 2019, and 12 were expelled. Labour has struggled to contain a long-running row over anti-Semitism. At a meeting of the Parliamentary Labour Party (PLP) last week, MPs unanimously passed a motion urging the leadership to do more to tackle it. They also called for specific details about how many people were being investigated, how many letters had been written to those accused telling to them to desist and what punishments had been given. 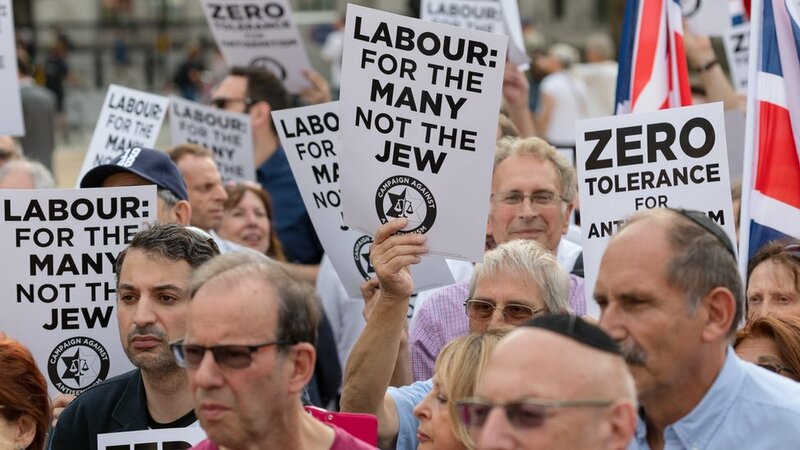 But Labour MP Dame Margaret Hodge tweeted a warning not to trust the figures and said she was not convinced the party’s leadership were “serious on rooting out anti-Semitism”. Ahead of another meeting of the PLP later, Ms Formby wrote to MPs to provide more detail. She said the party’s National Executive Committee (NEC) previously believed that statistics on disciplinary matters should remain confidential and not be published. But after MPs rejected her proposal of having three elected members monitoring the figures regularly, she said she “pushed hard” to get the NEC to agree to publish them. The other members who were suspended or notified of an investigation are either still under investigation or are cases where the investigation revealed evidence that meant the case could not be pursued further. Dame Margaret, who has been outspoken on the party’s handling of the issue, raised concerns on Twitter about the figures.